Userlet: How to video record or live stream? 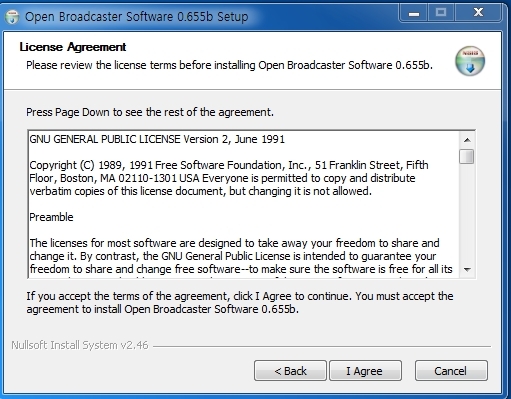 Today I will introduce a very powerful and light program called Open Broadcaster Software (OBS). OBS is a free, open source software for live streaming and recording your desktop to upload to Youtube.com. 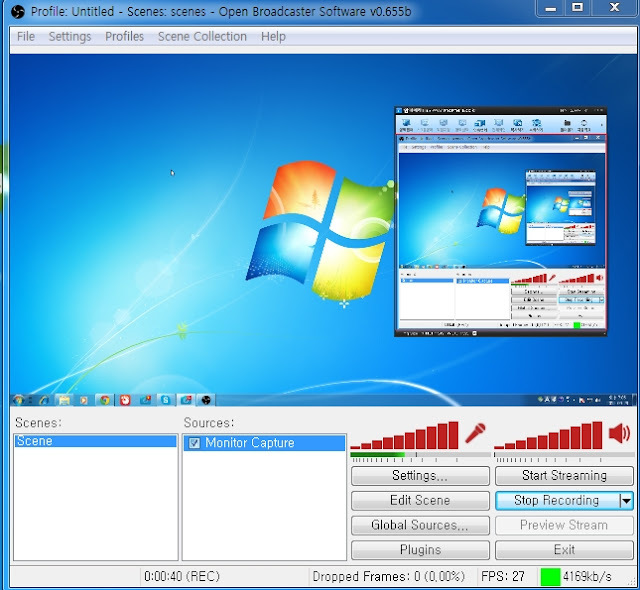 Live streaming supports all the streaming service sites such as Twitch.tv, Azubu.tv, and many other streaming sites including Youtube live Streaming. 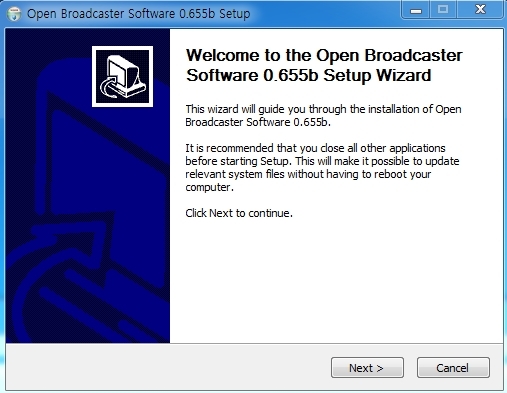 This program supports Following Operating Systems: Windows 7/8/10, OSX 10.8+ for Mac/Apple users, and Linux. 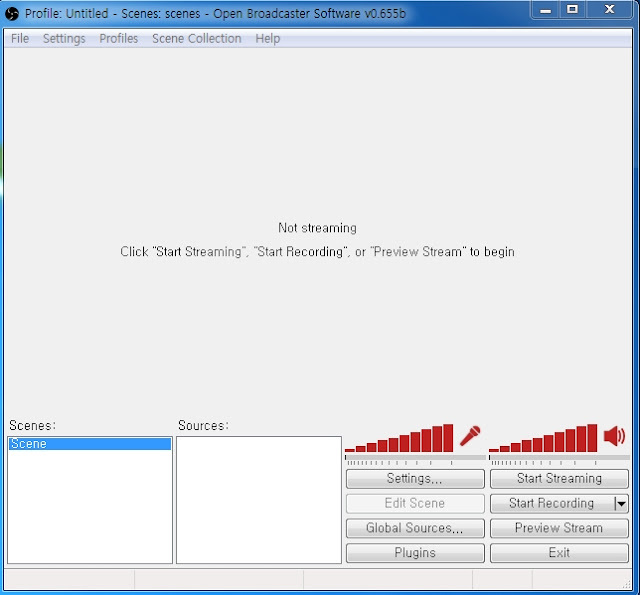 OBS looks like this on your Desktop. 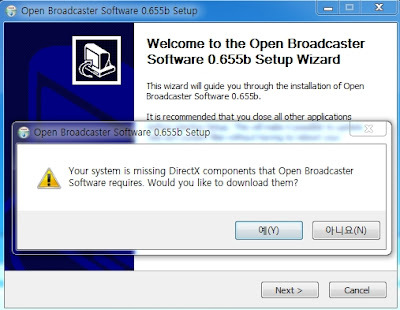 Double Click to run it. 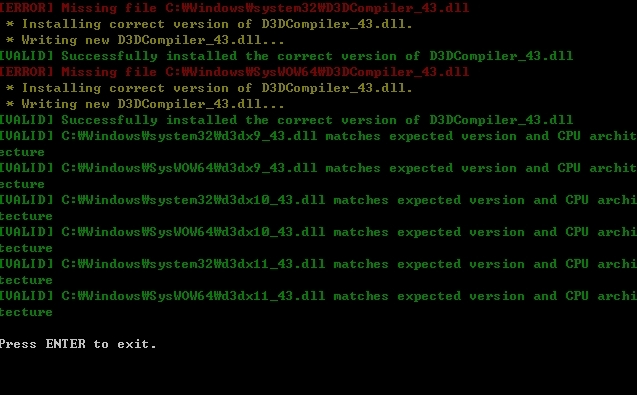 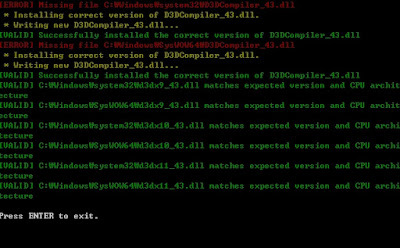 If you get this error saying "missing DirectX Components"
Your finished install screen will look like this. 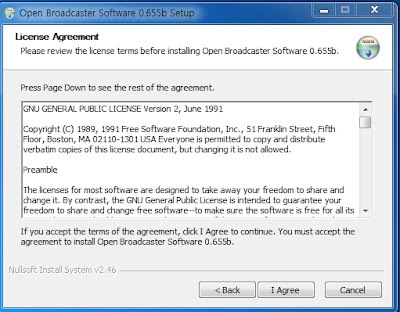 Now it will skip to License Agreement page. 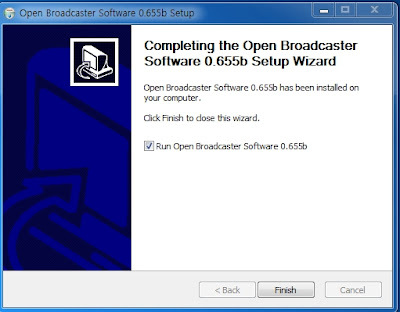 to increase the resolution of your stream/video recording. 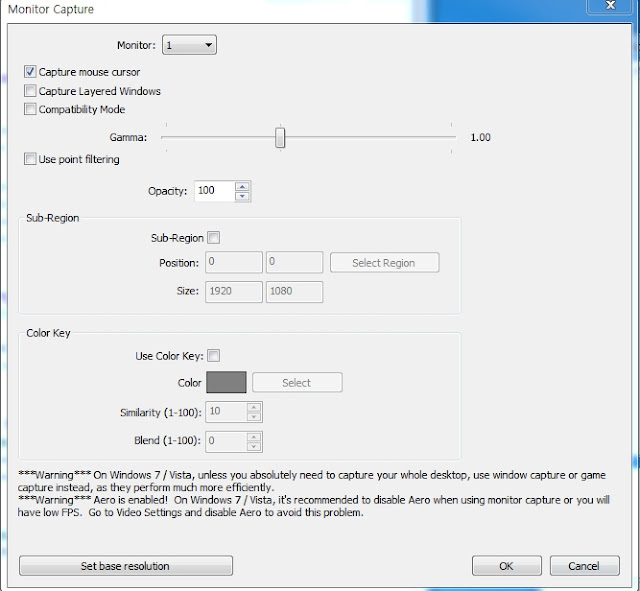 You can also adjust your FPS on Video Section of Settings if you want higher than 30 FPS. 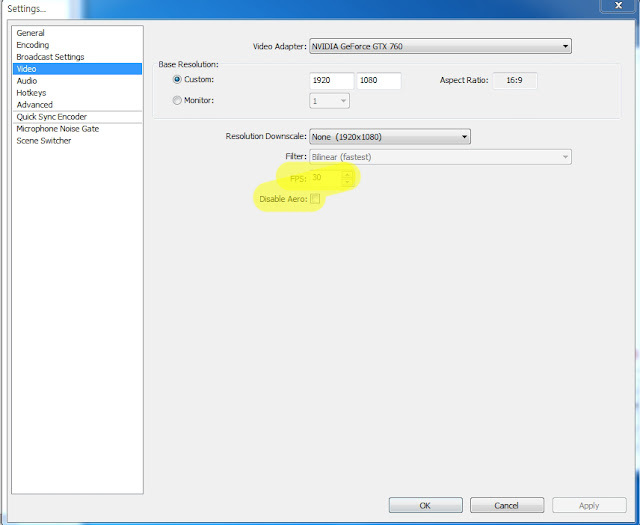 Also I highly recommend you to Disable Aero. 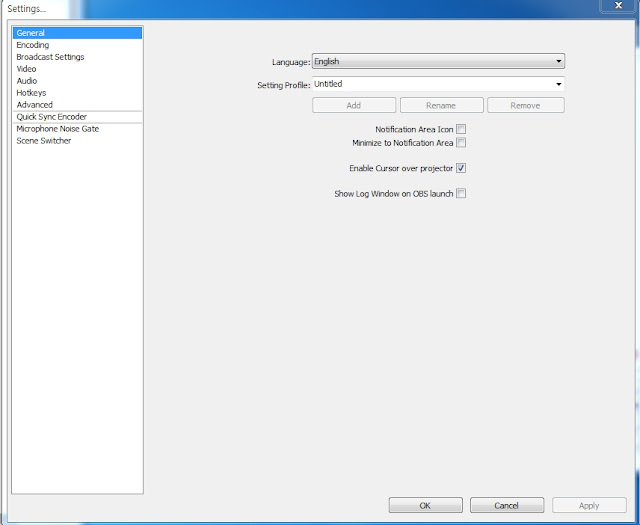 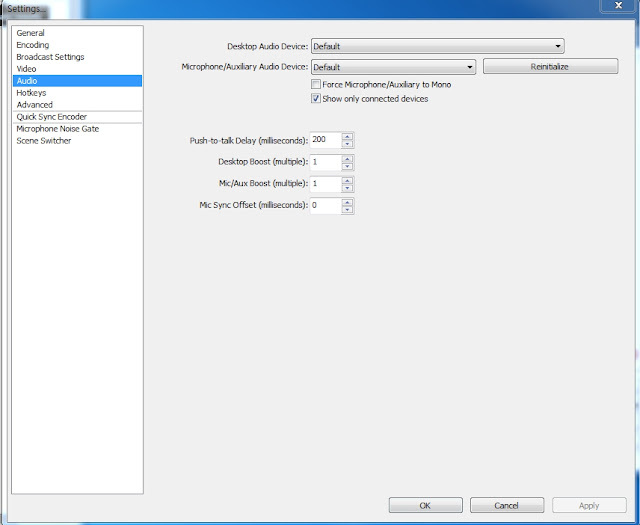 Change your Audio Settings for your Audio Devices. For Desktop Audio Device just set as default. Set Microphone/Auxiliary Audio Devices for your Mic Input. There may be many more Plug-ins or Texture you may want to add. Just Right Click Scenes section or Source sections to make those changes for your visual improvement on your screen. 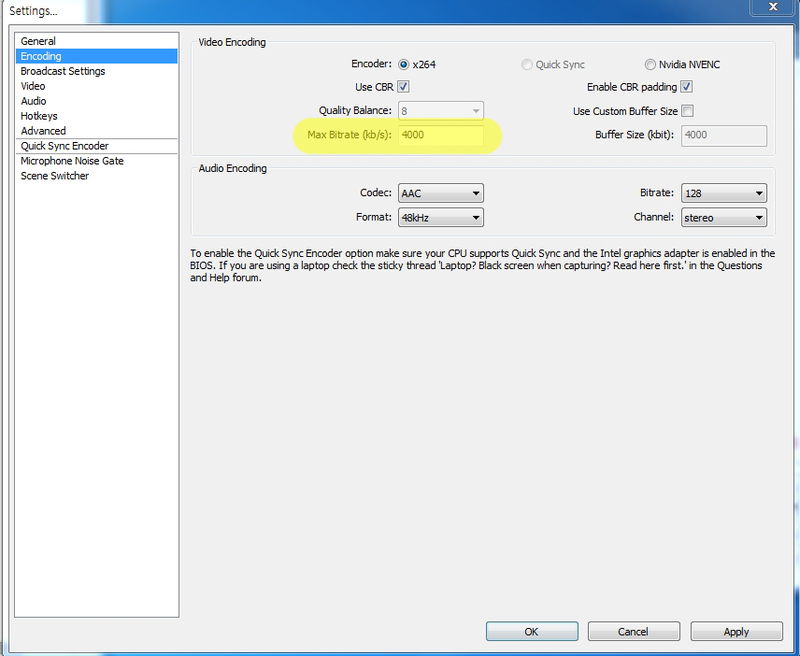 You may also want very newest update Plug-ins for your recording.